Japan's Tatsuhiro Yonemitsu (L) is declared the winner and Sushil Kumar takes second position in the 66 kg freestyle wrestling event at the London Olympics 2012. The day started well for Sushil Kumar as he defeated reigning world champion Ramazan Sahin to progress to the quarters. Sushil Kumar beat Ikhtiyor Navruzov to enter the semi-finals of the 66 kg freestyle wreslting event at the London 2012 Olympics. Akzhurek Tanatarov had handed Sushil a loss at the Asian Qualifiers last year but this time Sushil got his revenge and progressed to the final and set himself up for a certain silver and a possible gold at in the 66 kg freestyle wrestling event at the London Olympics 2012. Click on for more on Sushil Kumar. 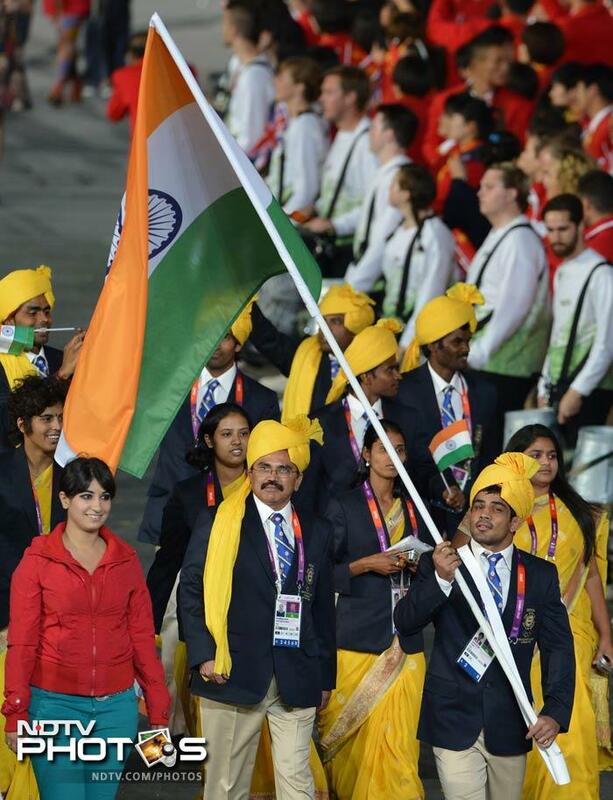 Sushil has been carrying the Indian tricolour on his shoulders proudly. Fondly remembered for his 2008 Beijing Games bronze medal, Sushil Kumar got the opportunity to be the Indian flag-bearer for the London Olympics 2012. Although Madhura Nagendra might have dampened the moment a tad bit, Indian fans will never have any other sight in their minds than Sushil carrying the flag. 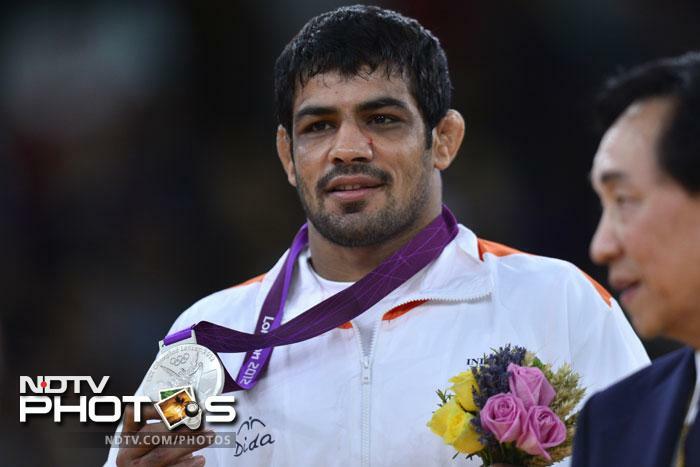 Sushil Kumar has twice had big success against Kazakh wrestler Leonid Spiridonov. This one is the bronze medal bout at the 2006 Doha Asian Games. South Korea's Baek Jin-Kuk defeated Japan's Takafumi Kojima for the gold, with India's Sushil Kumar and Mongolia's Batzorig Buyanjav taking bronze. India's Sushil Kumar (R) is hugged by his coach after his win over Kazakhstan's Leonid Spiridonov in the men's freestyle 66kg bronze medal wrestling match at the Aspire Hall for the 15th Asian Games in Doha, 14 December 2006. Indian wrestler Sushil Kumar (L) fights with Iranian Hassan Tahmasi (R) during the final of the 66 kgs category at the 20th Asian Championship of Freestyle wrestling in Bishkek, 09 May 2007. Hassan Tahmasi won the gold but Sushil had taken giant steps towards future endurance. 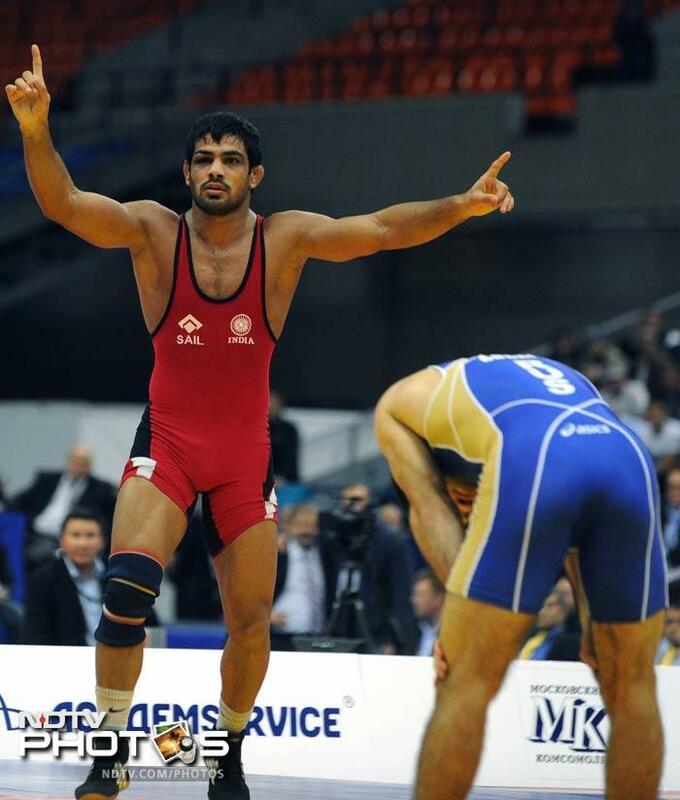 Sushil was now about to taste his second major success against Kazakhstan's Leonid Spiridonov. 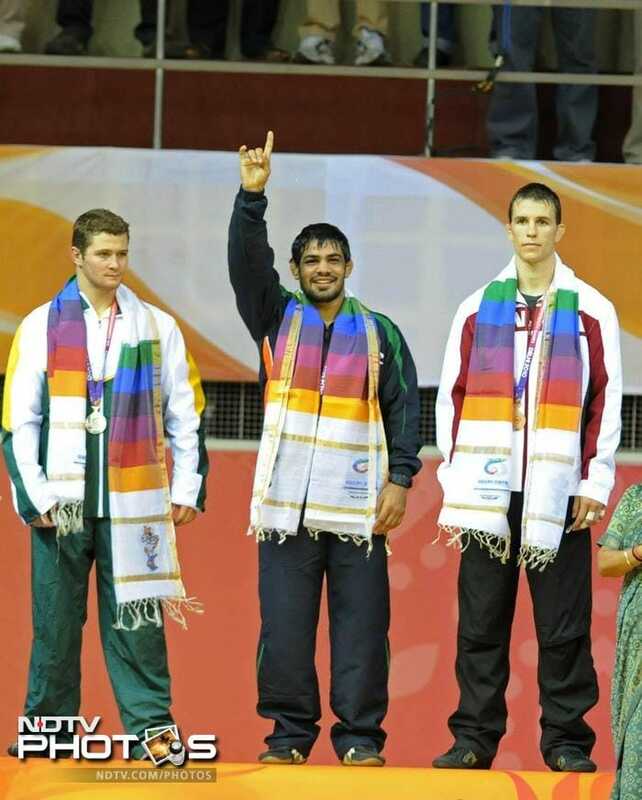 The 2008 Beijing Games were not only good for the wrestler but in general started a trend for India too. Abhinav Bindra won the Gold in 10m Air Rifle while Vijender Singh too landed a bronze. 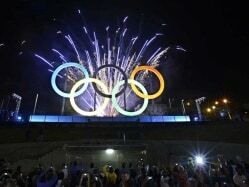 India have bettered that medals tally even further at the London Olympics. India's Sushil Kumar clinches his fist in celebration after beating Kazakhstan's Leonid Spiridonov (not in photo) in their 2008 Beijing Olympic Games wrestling men's 66kg freestyle bronze medal contest at the China Agricultural University Gymnasium in Beijing on August 20, 2008. Kumar won the match to get the bronze medal. He could not quite believe that this was happening! Sushil reacts after receiving his medal at the Beijing Games. Little did he know back then that he will face the Gold medallist from the Beijing Games, Ramazan Sahin of Turkey, in his first bout at the London Olympics 2012. Sushil Kumar(red) fights for the gold with Russian Alan Gogaev during the 66 kg freestyle final at the World Wrestling Championships in Moscow on September 12, 2010. The Beijing Games had triggered off a spree and Sushil Kumar was not willing to stop. He won the Gold medal at the World Wrestling Championships in Moscow 2010 beating Russian Alan Gogaev. This was his first World Championship Gold. Although the Commonwealth Games are not the pinnacle of the sport in any way, yet Sushil gave his best to impress the home audience as the 2010 Games were held in Delhi. The Gold at the Commonwealth Games meant more accolades and more adulation. The Indian flag is definitely in safe hands but the major challenge now lies ahead when his London Olympics campaign begins. A tricky opening bout against the reigning Olympic champion was the perfect shot in the arm but could not do an encore in the final.